Absolutely wonderful! I made no changes or substitutions. I did use organic fruit and green seedless grapes. We ate every bite of this fruit salad. 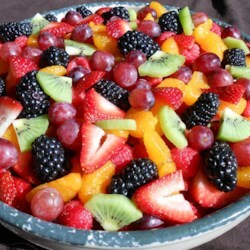 I think this would be great with cubed melon and either raspberries and blackberries, too.